Last Monday, Greg of Night Owl Cards followed up his ALCS contest win with an excellent "Oldest Card in My Collection" post. It tracks the growth of his collection from a 1970 Topps Fred Norman back to 1950 Bowman and 1933 Goudey (my contest prize). Chris of Vintage Sportscards followed it with "The Oldest Card I Own," which follows a trail from his childhood 1976 Star Wars sets back to T206 tobacco baseball and its massive player checklist. 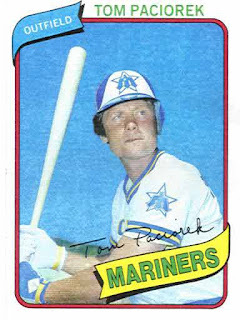 My own baseball collection kicked off in early 1980 and as a recent transplant to Washington state, Tom "Wimpy" Paciorek's card stood out. (Love that white-blue helmet and double batting gloves!) After three years of the expansion-era "Trident M," Seattle's logo evolved to this angular, star-shaped background in 1980. Sometime in 1981, a garage sale turned up this 1971 Kellogg's Jim Palmer. It was only one of many in a 25-cent plastic bag, but stood out as both a great player and older than I was. 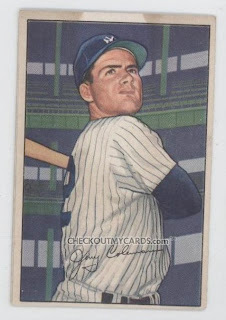 Things got murky over the next decade as I moved in and out of regular collecting, but this card represented my move into the sport's golden age. That early 50s hand-painted look is still fabulous and cost $2 on eBay, circa 1999. Move back any further from 1886 and you're looking at seriously rare and expensive stuff. (I consider it a minor miracle this #5 ever turned up, let alone proved affordable.) Should it remain my collection's oldest card, you won't hear any complaints. Thanks for the posts, Greg and Chris, I enjoyed filling out the concept! Man, I'd love it if every blogger did this. Yeah, it was fun digging through my mental card stacks. Didn't expect to remember much, but it went well! Guess you never forget your first "old card." My post was one of the easiest one I've ever written. In fact, it took longer to find the cards and prepare the scans than it did to write it out. I would probably have to lie to make this entry in my blog. 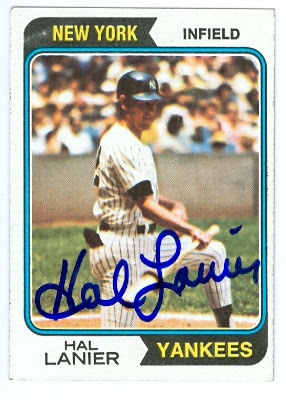 I do know that my first packs were 1978 Topps, but who I got in my first pack is a long lost memory. I know it wasn't long into my love of cards that I was making trips to the Pike Place Market, specifically Golden Age Collectibles and what must surely be long gone, the Paperback Exchange in the Belltown area for cards. I remember getting a number of 50s cards. 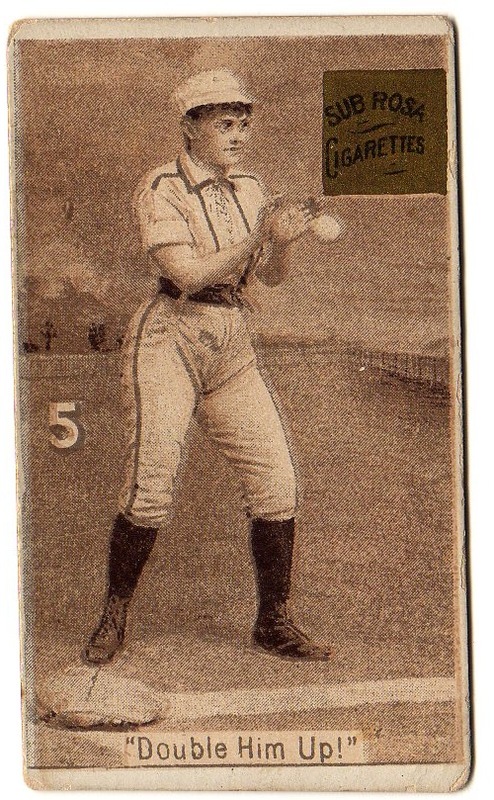 I don't know if I got any older cards until ebay in 1998, but I am still securely in the 1900s. I believe my oldest is 1904 and unless a Goodwin and Co 1888 Goodwin Champions card comes along at a sweet price, I don't necessarily need to go any older. When I was a kid, my older brother gave me his box of baseball cards, which to a seven year old in 1982 seemed down right ancient, some of them were from 1971! The '71 that always sticks out in my mind was Ceasar Tovar, and I couldn't tell you why. 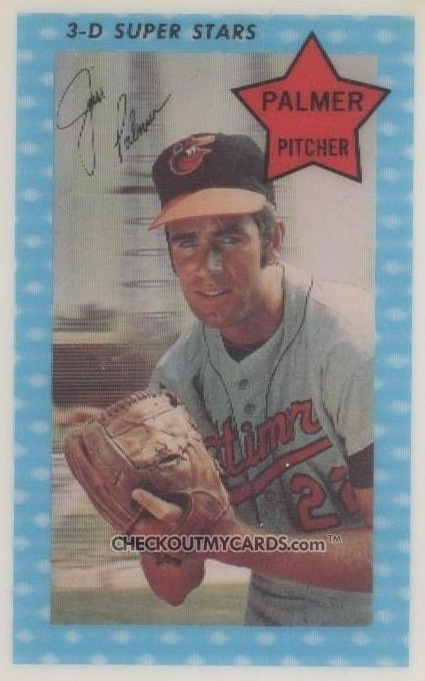 Then when I was about 10, I found a 1969 Rick Joseph in a dime box at my local coin shop (which kept a few baseball cards around as well). Then, two years later at the tender age of 12, I picked up at a local card show a creased up 1952 Topps #156 Frank Hiller. Had I ever heard of him? no. did it frickin' matter? no! It was a 1952 Topps card. Fast forward 13+ years to a time when I had lots of disposable income and a thirst to recapture my youth, I then owned a bunch of vintage cards, the oldest were t206's, which were a good 91 years old at the time. I have since had to pay the rent a few times and sold off those old tobacco gems, but the oldest card in my collection currently is an e121 American Caramel Max Flack from 1922. Since Mr. Flack shares my first name, it would take a lot for me to part with it.